THE FOLLOWING EXHIBITION WAS PLANNED, ORGANIZED, AND HELD BY AMERICAN POP ART, INC. / STEVE KAUFMAN ART LICENSING LLC, WITH SPECIAL THANKS TO OUR INCREDIBLE HOSTS AND SPONSORS. LATE ARTIST STEVE KAUFMAN LEADS THE EXHIBITION "ICONS OF POP ART THEN AND NOW"
February 25, 2014 / Modena, Italy -- American Pop Art, Inc. is proud to announce the grand exhibition, “Icons of Pop Art, Then and Now,” a convergence of the best in vintage sports cars with collectible contemporary art, now through May 4, 2014 at the newly renovated Museo Casa Enzo Ferrari (House of Ferrari Museum), Via Paolo Ferrari 85 in Modena, Italy. The House of Ferrari Museum reopened on February 18, 2014 after several weeks of restoration work to mark the February 18 birth date of Drake Enzo Ferrari in 1898, and to reflect a whole new generation for Ferrari. The transformations now offer 3,500 square meters of breathtaking cars, 100 years of historical archives, art exhibitions, and virtual experiences. Nineteen high definition floor-to-ceiling projectors will feature a 15-minute documentary detailing the life of Enzo Ferrari that will screen for visitors every 30 minutes. Luca di Montezemolo and Piero Ferrari, Ferrari president and vice president, were joined by Antonio Ghini, museum director, at the opening ceremonies for the new main hall building in Modena. Currently on exhibition is “Icons of Pop Art, Then and Now,” which presents a brief history of Pop Art from its origins to the present day. The exhibition unites Enzo Ferrari’s thrilling collection of champion race cars with prestigious works by revolutionary pop artists Andy Warhol, Roy Litchenstein, Steve Kaufman, Russell Young, Burton Morris, and Romero Britto. The link between fast cars and exhilarating paintings was made by famous artist Steve Kaufman when he chose to paint the beautiful Ferrari automobile in 2006. “Icons of Pop Art, Then and Now,” is organized by the Museo Casa Enzo Ferrari in Modena in collaboration with Diana Vachier, President of American Pop Art, Inc. and Gerald Hartinger Fine Arts; and designed by Alberto Panizzoli, Caterina Tosoni, Museum Curator Giovanni Perfetti, and Museum Director Adriana Zini. 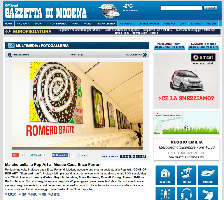 The late artist Steve Kaufman, former assistant of Andy Warhol, is represented by American Pop Art, Inc.
For more information about the Museo Casa Enzo Ferrari in Modena, please visit http://www.museocasaenzoferrari.it/en/. For more information about pop artist Steve Kaufman, please visit www.americanpopartinc.com. For Steve Kaufman art inquiries, please contact Diana Vachier at [email protected]. 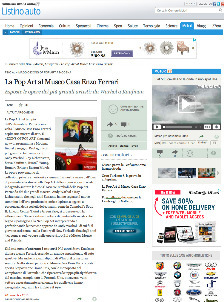 Video Mostra -- Icons of Pop Art at Museo Casa Enzo Ferrari (House of Ferrari Museum) in Modena, Italy. November 24, 2013 - May 4, 2014. Commentary by Professor Philippe Daverio, notable art historian. Special thanks to Mauro Zocchi, Videographer and Editor. License free music from www.jamendo.com. November 9, 2013 / Modena, Italy -- With tremendous pride American Pop Art, Inc. is thrilled to announce the grand exhibition, “Icons of Pop Art, Then and Now,” a convergence of the best in vintage sports cars with collectible contemporary art, opening Sunday, November 24, 2013 at the Museo Casa Enzo Ferrari (House of Ferrari Museum) in Modena, Italy. A grand opening celebration will be held on Saturday, November 23, 2013 at 6:00 p.m.
“Icons of Pop Art, Then and Now,” will present a brief history of Pop Art from its origins to the present day, and will unite the museum’s thrilling mix of champion Formula One Grand Prix race cars that competed between 1950 and 1994 with approximately 40 prestigious works by revolutionary pop artists including Andy Warhol, Roy Litchenstein, Steve Kaufman, Russell Young, Burton Morris, and Romero Britto. 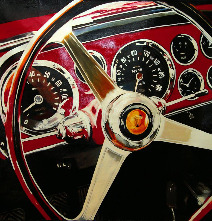 The eye-catching link between fast cars and exhilarating paintings was made by famous artist Steve Kaufman when he painted a Ferrari series in 2006, transferring all the passion he had for these sports cars into extraordinary works of art. “Icons of Pop Art, Then and Now,” is organized by the Museo Casa Enzo Ferrari in Modena in collaboration with Diana Vachier, President of American Pop Art, Inc. and Gerald Hartinger Fine Arts; and designed by Alberto Panizzoli, Caterina Tosoni, Museum Curator Giovanni Perfetti, and Museum Director Adriana Zini. Professor Philippe Daverio, notable art historian, educator, cultural strategist, and publisher, will curate the exhibition’s grand opening. 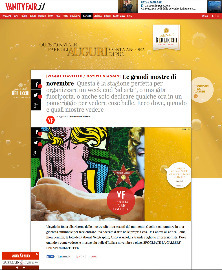 The exhibition begins with the two great masters Andy Warhol and Roy Lichtenstein, who in the 1960s embarked on a new path of art produced in series and inspired by objects and characters of a consumer society. We then follow the impact of Steve Kaufman, an artist who developed the concept of Neo Pop Art and chose to paint the beautiful Ferrari automobile. American Pop Art, Inc., established in 2000 and incorporated in 2005, is honored and proud to work exclusively with the art of Steve Kaufman (1960-2010), the former assistant of Andy Warhol. 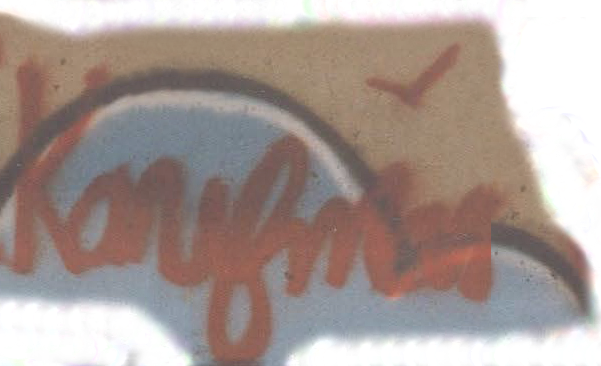 It was Warhol who gave Steve Kaufman the nickname “SAK” from the initials of Steve Alan Kaufman. 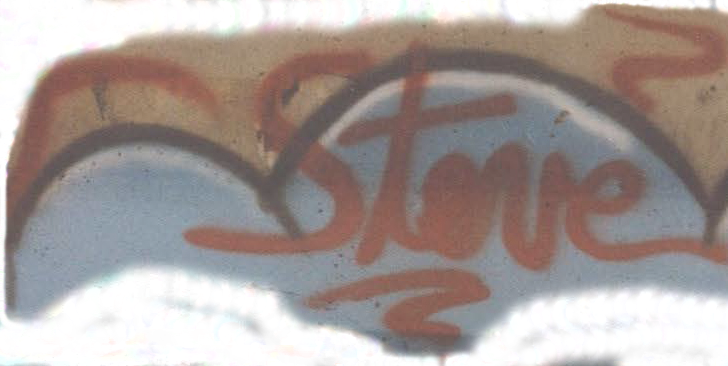 Steve Kaufman elaborated and enhanced the pop art painting techniques he had learned at The Factory, Andy Warhol’s studio in New York. Kaufman developed his own style using the hand-embellishment technique, and created the famous “icons” that brought him worldwide success. His icons are composites of 4 to 12 different subjects, a combination of different silk-screens that were then hand painted. He made history as he reinterpreted in lively fashion the themes of American society from the 1980s until 2010. Pop art, after 50 years, is still relevant today in its appearance and subject matter. These works represent symbols celebrated by Warhol as timeless icons of our time. The artists take on life, fascinations such as Marilyn, communications, and the subtle to thunderous impact of advertising, and these elements can be seen throughout this groundbreaking exhibition. 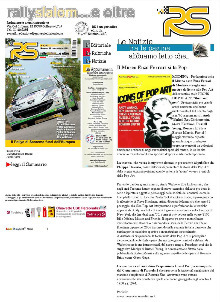 “Icons of Pop Art, Then and Now,” will continue through Sunday, May 4, 2014 at the Museo Casa Enzo Ferrari, Via Paolo Ferrari 85 in Modena, Italy. 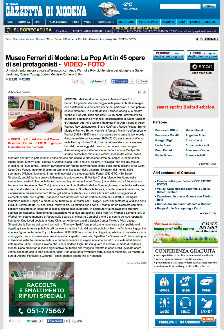 For more information, please visit http://www.museocasaenzoferrari.it/en/. 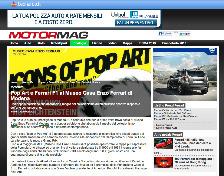 For more information about pop artist Steve Kaufman, please visit www.americanpopartinc.com. For Steve Kaufman art inquiries, please contact Diana Vachier at [email protected]. 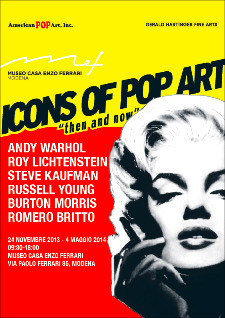 THANK YOU for Your Outstanding Support of ICONS OF POP ART: THEN AND NOW AT THE HOUSE OF FERRARI MUSEUM in MODENA, Italy.